If you would like to make a contribution to support my books, you can use the button below and pay with PayPal. Thank you! Download this book in PDF. Code examples and solutions are available from this GitHub repository. 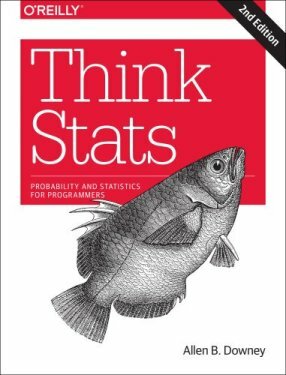 Order the second edition of Think Stats from Amazon.com. Read the related blog Probably Overthinking It. If you have basic skills in Python, you can use them to learn concepts in probability and statistics.Think Stats is based on a Python library for probability distributions (PMFs and CDFs). Many of the exercises use short programs to run experiments and help readers develop understanding. This book is under the Creative Commons Attribution-NonCommercial 3.0 Unported License, which means that you are free to copy, distribute, and modify it, as long as you attribute the work and don’t use it for commercial purposes.